This is the post I was intending to post on Tuesday, when I bailed out to spend time with my family. 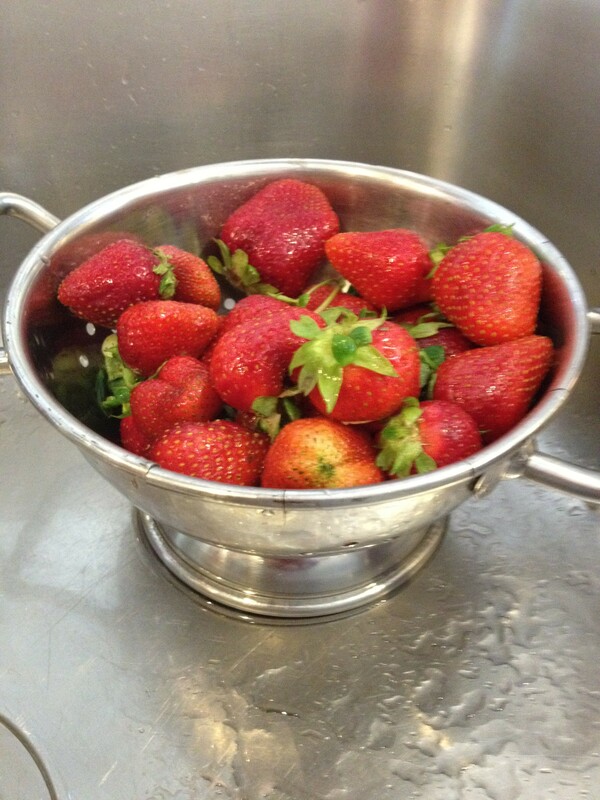 Carole’s prompt this week was an easy one, because strawberries are one of my favorite summer fruits. 3. Made into freezer jam. 4. With rhubarb, baked into a crisp. 8. In a mixed-berry fruit salad.